Announcement Holiday Hours: Holidays will impact the turnaround time of custom items. Please always double check your timeline with me before purchasing! I will be working only a limited amount of time from Nov 16th through Nov 25th. Happy Holidays everyone! Please note: Custom orders will take longer during peak times. Always ask if I can complete your portrait by the date you need it before purchasing. Thank you! I offer printed services as an add-on to most of my listings; in case you have a favorite print but can't, or would rather not, print at home. Anything you see in our shop can be purchased as a Physical Print. Just contact me and I will create a custom listing for you! I even offer gold foil on some of our prints. Please do not hesitate to contact me for any questions or concerns. I love making my customers happy! Holiday Hours: Holidays will impact the turnaround time of custom items. Please always double check your timeline with me before purchasing! I will be working only a limited amount of time from Nov 16th through Nov 25th. Happy Holidays everyone! Mother's Day Card, Geek Mom, Doctor Who Greeting Card, Mum Card, Mother's Day Greeting Card, Funny Mother's Day Card: Are You My Mummy? Yoshi, Mario Bros Print, Super Mario, Marios Bros Printable, Nintendo Art,, Printable Decor, Video Game Art: Yoshi! I love it! My camera just doesn't do it justice at all! Beautiful card and matching Tardis blue envelope! Perfect! It’s Taurus Season!!! ️ ~ Enamel pin available in my shop! New shop item! 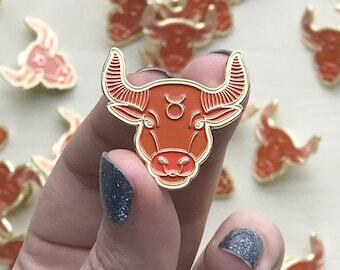 Taurus Enamel Pins! Get yours today! Funny and cute greeting cards from you to them! Find all of these and more in my Shop! Proud latina female artist with a love of all things geeky and fandoms! Hello everyone, I am Diana, the owner of PaperYarnMoon and co-owner of Remember Love Designs. Since a young age I have had a passion for art. I taught myself how to use Adobe's Creative Suite, and then refined my artistic abilities in college. Every creation in my Shop is unique, and reflects love for fandoms, literature, tv shows, video games and overall geeky awesomeness. The prints in my Shop are all priced to be accessible to every fan. I want to help everyone embrace their fandoms! Over the years, PYM has grown and evolved more than I could've ever imagined! I am grateful to everyone who has supported me over the years and has helped my little shop grow so much! With all this growth, comes new products to offer, so I now offer portraits! Portraits for couples, families, and friends a like. These are great for anniversaries, specifically first year anniversaries because of the 'paper' idea. But I also offer what I like to call: Fandom Portraits, and these are very dear to my heart! They are a way for YOU to BE a part of your favorite Fandom! We currently offer: Magic/Wizarding World, Doctor Who, and Pokemon. If you don't see your favorite fandom, please ask! I'm always looking to create more! Please follow us in this great adventure as I create new things to share with the world! Hi! I am Diana. I was born in Costa Rica, and have always been a geek. One of my favorite role models, Felicia Day, said it best: "Embrace Your Weird". This is what I strive to do every day, and hope to help others do the same through my art. I design the pins, they make them a reality! I send them a finished design, and my production partner will create the mold for the metal plating, and add the enamel for color. Welcome to Paper Yarn Moon! Who doesn't love a Fandom? I definitely love Fandoms, and I love making prints to represent different Fandoms; in fact, that's how I got the idea to start Paper Yarn Moon. Please don't be shy if you want a print of a specific quote from a Fandom, just ask! Like Felicia Day says: Embrace Your Weird! I also offer Custom Portraits, Motivational Prints, and Inspirational Prints to help you decorate your home, office, or home office! (Actually, my prints work great everywhere!) I also offer a variety of pop-culture greeting cards for special occasions, and personalized notepads/stationery! Everything listed on this page has been, or will be handmade to order by me, Diana. Every print and custom order is done with great love and care. Please do not hesitate to contact me if you have any questions or concerns! Including any requests for a unique item (no matter how nerdy/geek you think it might be!). Please be aware most of our listings are for digital items only, if you do want to purchase the physical print I offer it as an Add-On. I always strive to offer the greatest experience both with the product you have purchased, and with the customer service you receive. Comments and suggestions are always welcome! Digital Items are non-refundable since there is no way for me to know if you have saved the files to your computer, and printed the item or not. Physical Prints will be refunded on a case per case basis. Please contact us within 7 days of receiving your item. That being said, I always strive to make my customers happy, please contact me as soon as you can, and I will do my best to work something out! (Refunds and exchanges will be considered on a case by case basis). You can pay for items listed on our shop via Etsy or PayPal (USD)! Did you know you don't need a Paypal account to pay with Paypal? After you submit your order click the “Pay Now” button. Scroll Down and you will see the option to pay with a Credit or Debit Card WITHOUT having to sign up for a PayPal account. Please contact me if you have questions or concerns about the Paypal payment process. I'm here to help you! Please note, I will not begin work on any custom order until payment has processed. For Instant Downloads: Etsy will automatically email you the file, if for some reason you do not receive it, you can always find them under Account> Purchases. Digital Prints will be delivered via Etsy immediately after payment. All other items, will be shipped using USPS, First Class Mail. If you need faster shipping or insurance, please contact me so we can arrange payment for that. The address you enter during your Etsy checkout is the address I will ship to. If the item is a gift going directly to the recipient, we can include a personalized message at no additional cost, just let us know in the message to seller box! Estimated shipping time for Physical Prints will be stated on each listing, please double check each item as some take longer to make than others. They will be mailed in a protective sleeve, with a hard cardboard backing to avoid any bending, or wrinkling. USPS usually takes between 3-5 business days to deliver the package to your door. These times will increase during the holidays! You may print as many times as needed after purchase, FOR PERSONAL USE ONLY. Please DO NOT share/change/alter the digital file. Please DO NOT RESELL any of the items purchased from PaperYarnMoon. None of my files are available for 'free downloads' or 'freebies' unless otherwise specified by me. Files may not be used in any website, banner, blog, logo, etc. Please do not upload the full-resolution file to any website or blog. Please note: Print colors may appear to be different than what is seen on your computer screen. I love custom orders! Please feel free to contact us with your needs. I look forward to working with you on your one-of-a-kind design! Please note: Custom Designs will be re-listed at our discretion.